A project management report is a important document that describes a business project and the steps a team should take to complete it. 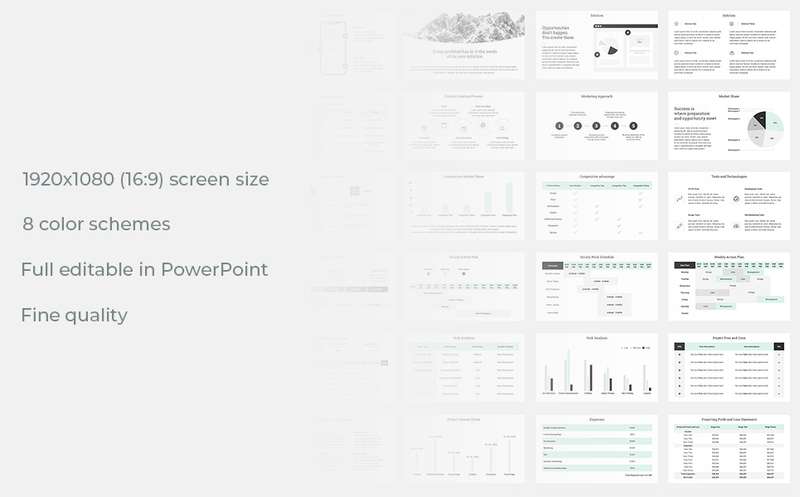 The report typically contains the project plan, task and action list, the team's responsibilities, a projected timeline, and a budget. 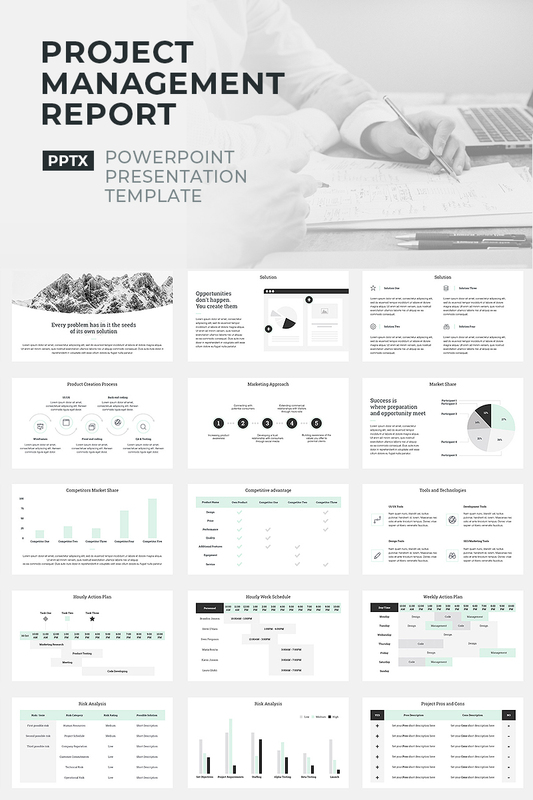 This PowerPoint template contains various ready topics and instruments that help you to make a good project management report.